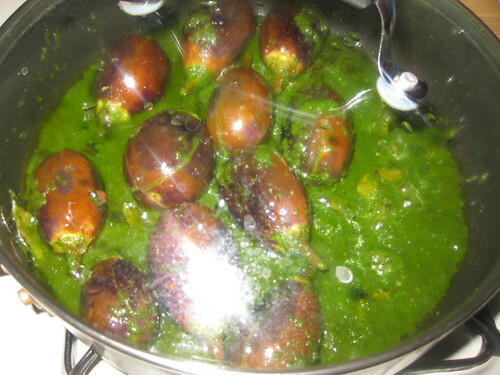 Wash and slit each brinjal into four sections length wise without cutting off the crown. 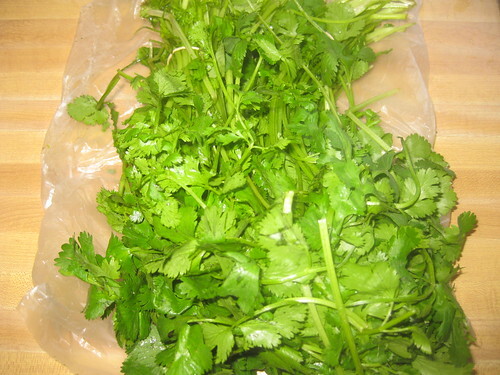 Clean coriander leaves and chop it. 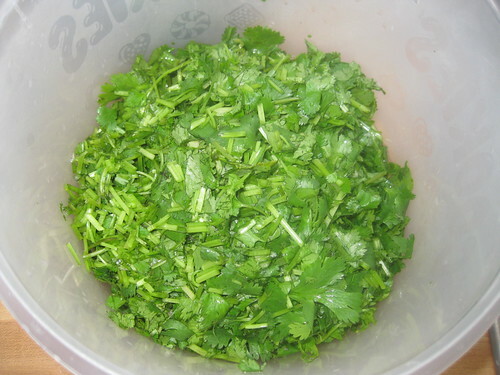 Grind the coriander leaves,green chillies,cumin seeds and salt into a smooth paste. 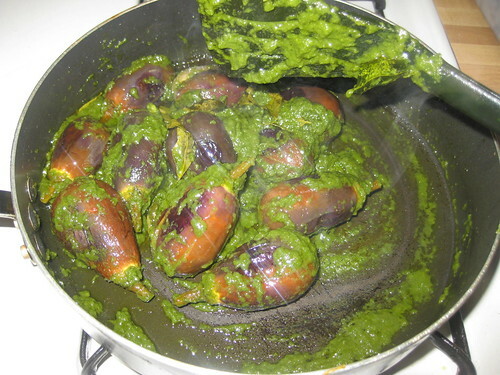 Stuff this coriander mixture in brinjals.Stuff as much as u can. 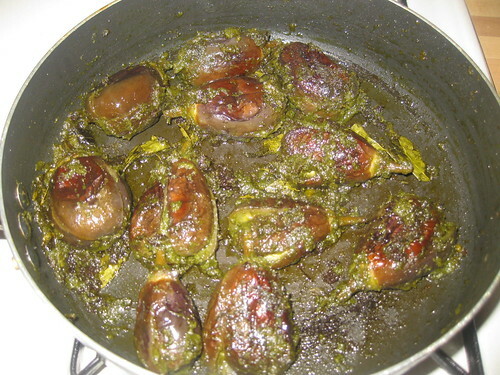 Heat a pan ,add oil and add stuffed brinjals and saute them add 1/2 tsp salt on brinjals and curry leaves..Mix it and cover with a lid. 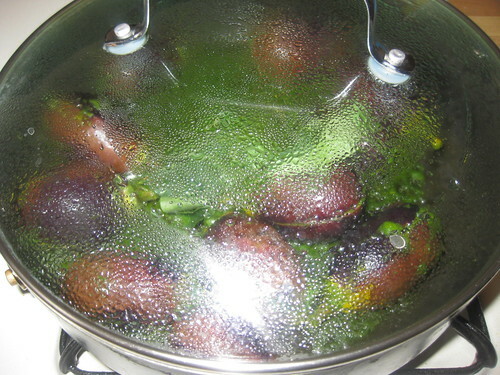 Fry brinjals till 3/4 done and then add remaining coriander paste.cover the lid again cook for 10 minutes. 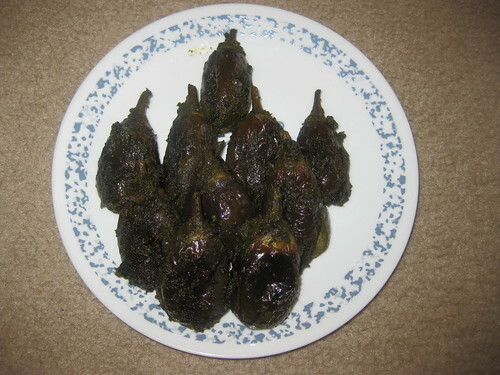 Fry uncover till brinjal are perfectly cooked and masala drys out. 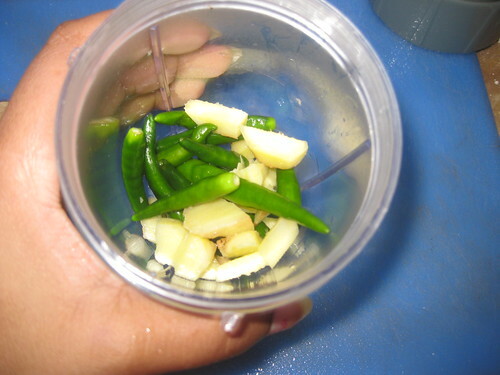 You can increase the flame to dry out the masala,stirring continuously without burning the bottom. 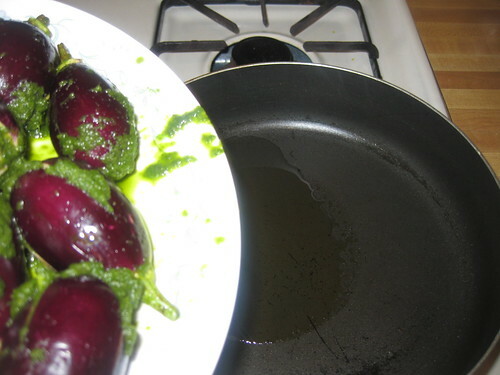 Once done cover with a lid and switch off the stove and after 5 mins transfer it in o a serving bowl. 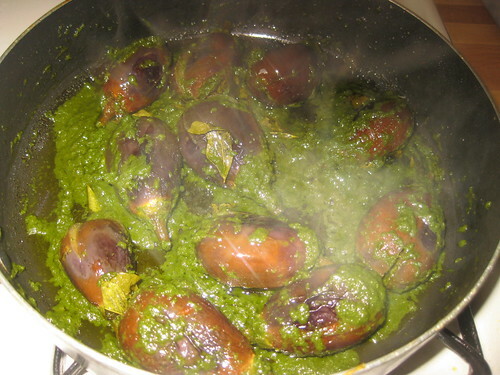 Serve it with hot rice and ghee.Also goes good as a side dish for sambar or dal or curd rice. 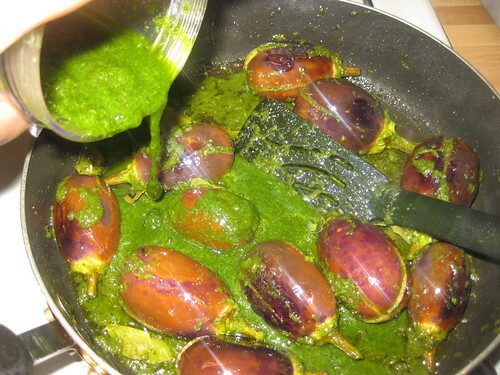 Wow delicious Vankaya kottimeera.Wonderful pic. 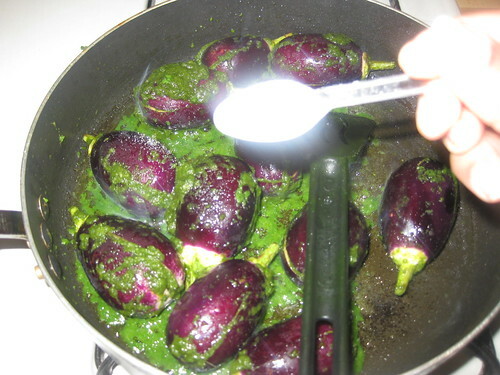 Some wonderful flavours going in brinjals...lovely recipe. 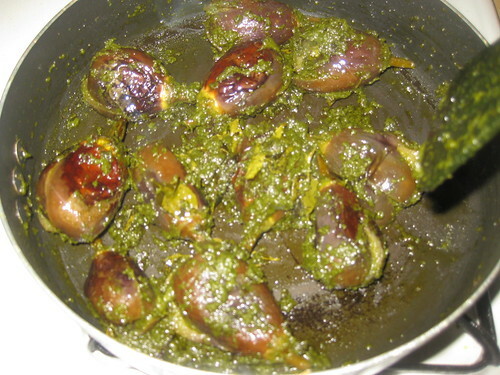 Wow.... yummy and mouthwatering recipe. looks wonderful and super delicious. 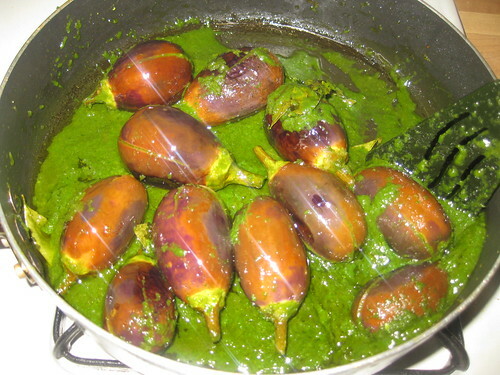 Seriously am drooling here, wat a tempting brinjal fry,yumm! Wow easy and yuumy with rice too. Tfs. nice recipe!....kothimeeru karam sound good! 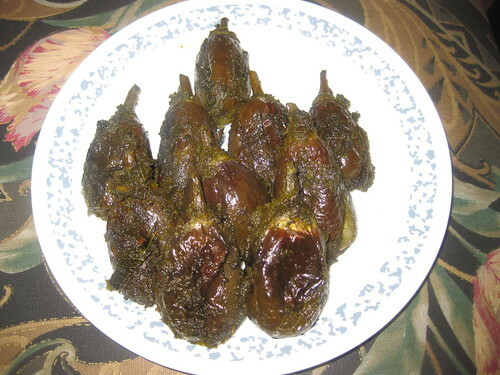 Love stuffed brinjal,this is making me drool. Great recipe and looks yummy! awesome dear ! I'll definitely like to try this for dinner...gr8 with chapattis ! Must be really flavourful, looks delicious! New recipe dear. 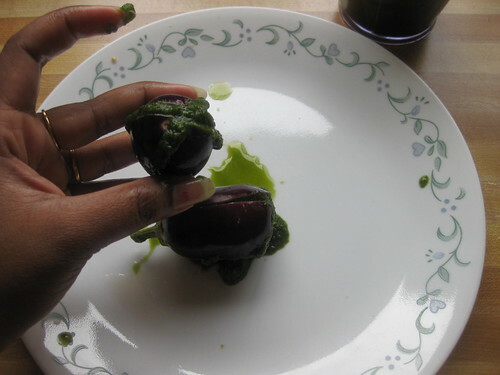 Love that stuffed brinjal very much. These look awesome,wish I had this for my lunch. 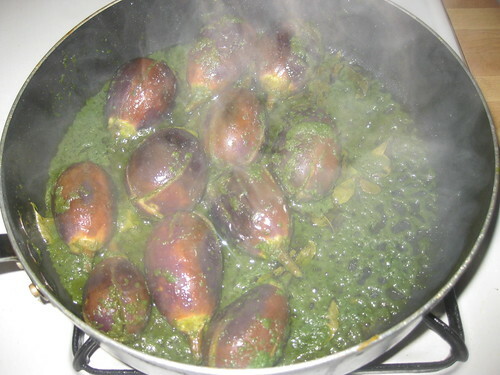 Mouth-watering recipe, looks divine dear. 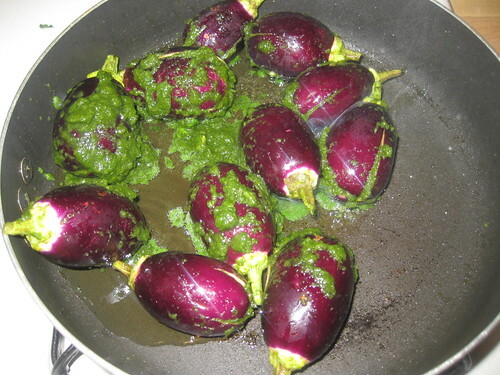 Stuffed eggplant with coriander sounds delicious. Nice recipe. 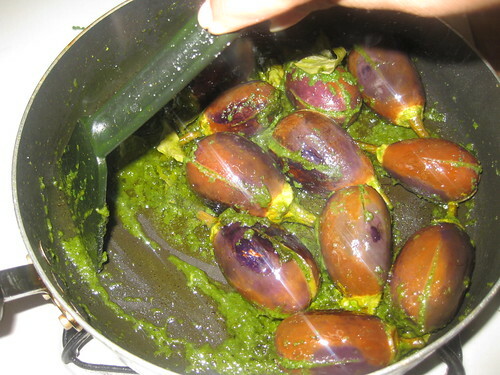 eggplant stuffed with coriander leaves sounds dleicious. 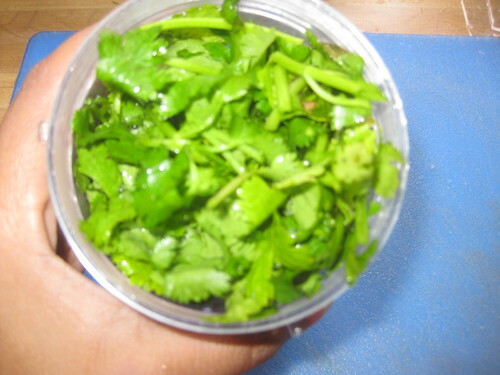 This is an interesting dish Divya..Mouth-watering clicks..
An award is waiting for you in my blog, please go and collect them dear..
wow this looks awesome, luv the cilantro stuffing, its so innovative! OMG! 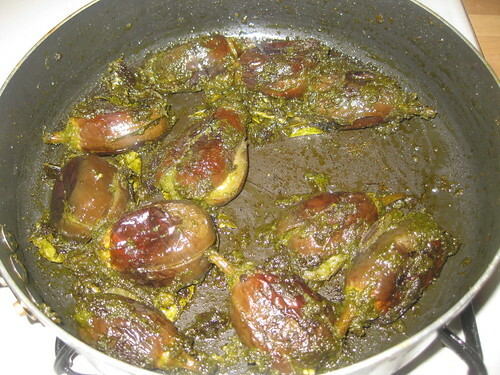 what a yummy and mouthwatering dish, love your patience and clicks. 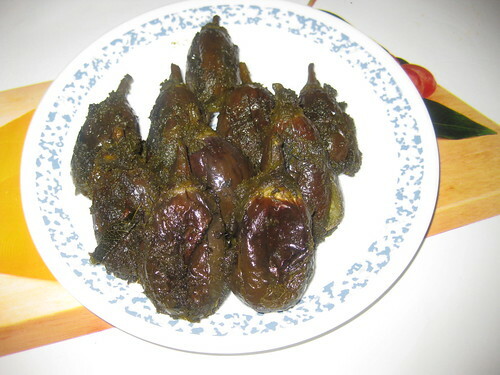 mouthwatering brinjal fry!! very tempting pics. 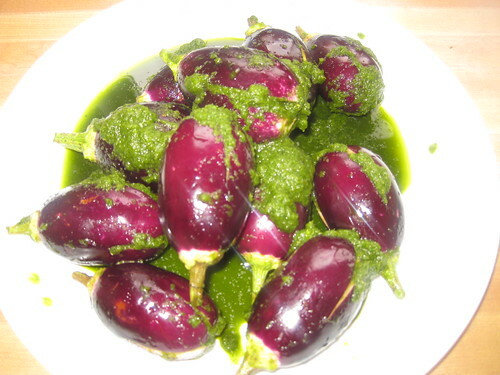 tempting n delicious kura..love the colour..
Are these small eggplants? They look beautiful stuffed like that! Great recipe! 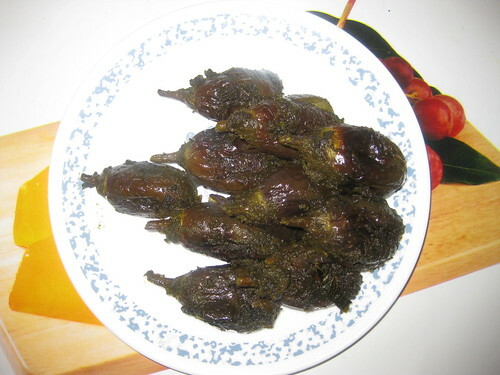 Yummylicious brinjal fry divya . 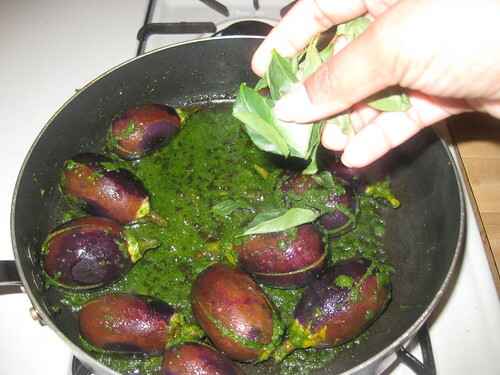 I have never tried stuffed eggplants with cilantro filling. Looks great. 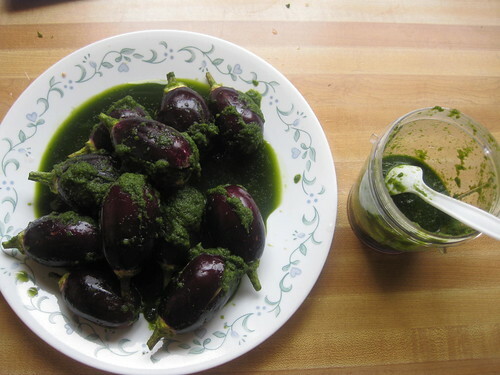 Very unique recipe... Looks super delicious..
That looks so flavorful and yumm!! I liked the step by step picture presentation !!! 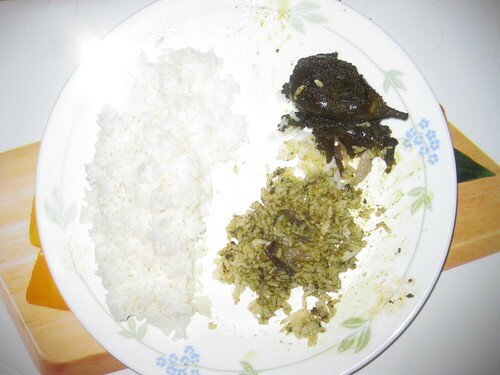 wow.. mouth watering dish.. nicey..
new to ur space.. happy to follow u.